Bioware has gradually given up on making role-playing games, not just the brilliant games they used to create. They are now a husk of what they once were and EA are using them like a sock puppet until the industry wears it out and nothing but dust remains. When they announced Mass Effect: Andromeda, I was skeptical, but hopeful. When they started to release gameplay footages and boasted about their engine and graphics over story and characters, I knew what Mass Effect: Andromeda was to be and I did warn them, I warned the internet wherever I could like a madman. Me, the guy who was so impressed with Mass Effect 2 and with the marketing for Mass Effect 3 that I decided to pre-order it, as I rarely do. Not only that, I pre-ordered Mass Effect 3's collector's edition for that damn N7 patch. I am a fan of both Bioware and Mass Effect in particular, yet I knew better than to buy Andromeda. Bioware has been pulled from creating more content for their "promising" Mass Effect: Andromeda, you know, at least to justify paying full price for an obviously rushed travesty of a game. 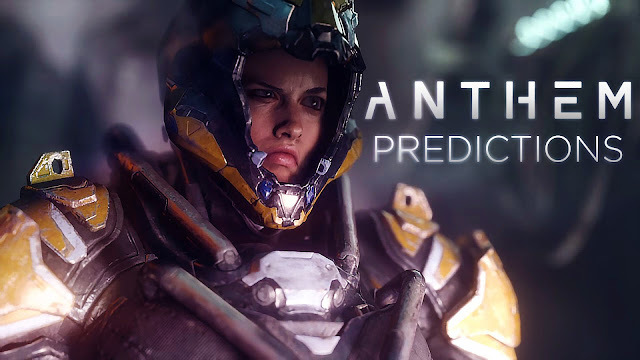 I don't need a confirmation to know that Anthem isn't Bioware's thing and that they've been given an ultimatum. You'd think that Andromeda was successful enough, right? But is it ever enough for the greedy board of shareholders who want more, more, more and even more? So EA pulled out the whip on Bioware.